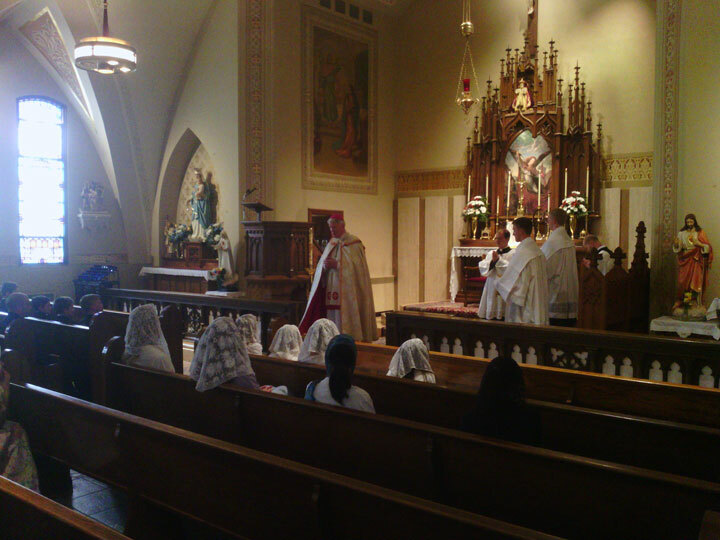 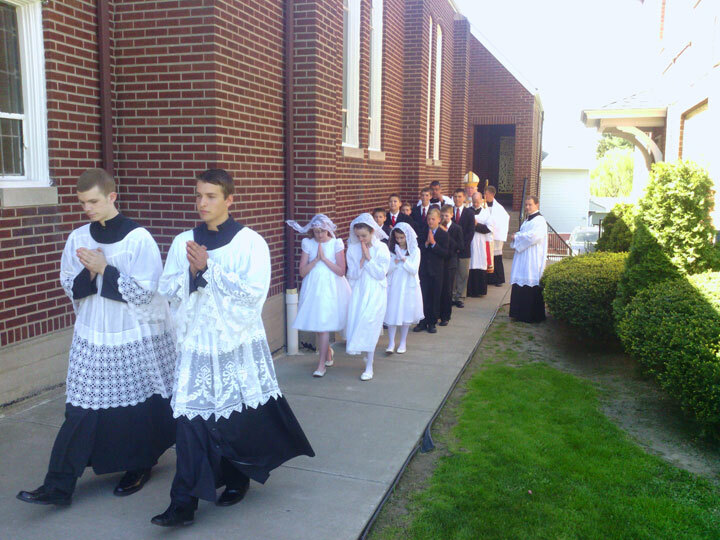 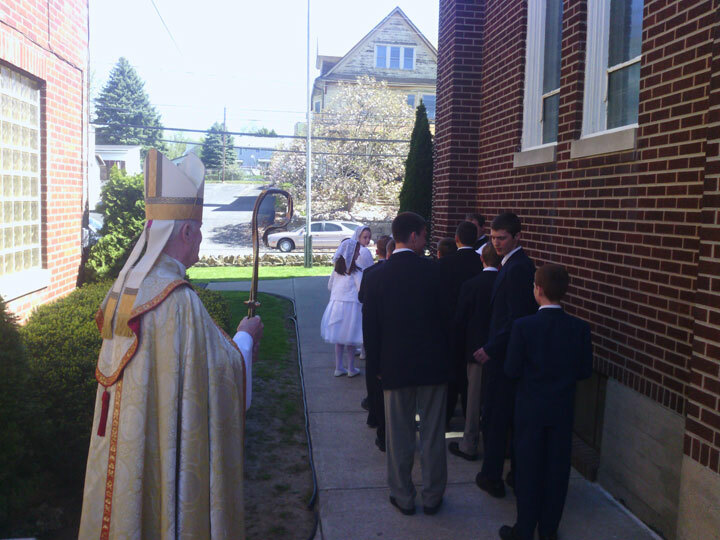 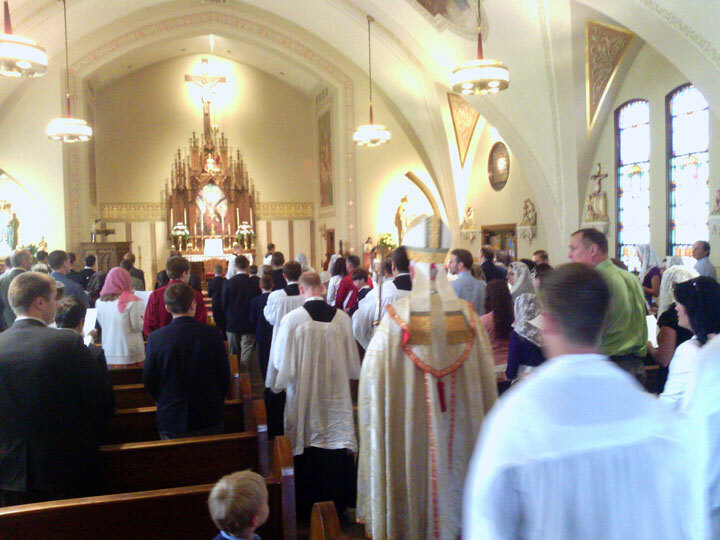 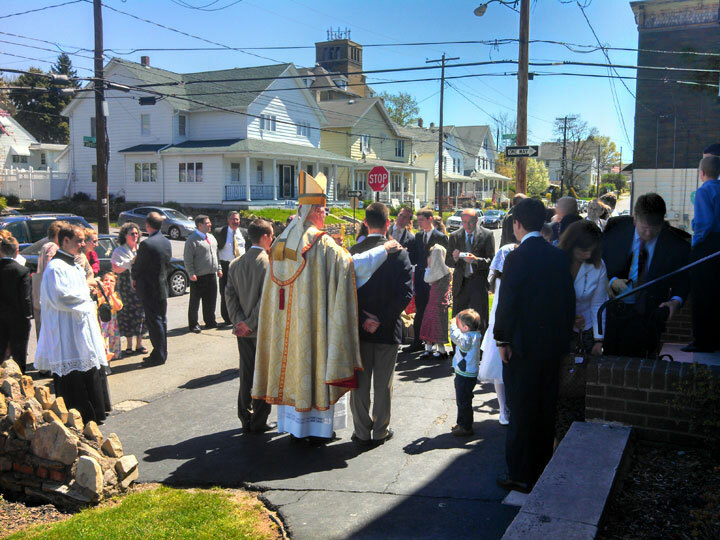 Saint Michael’s enjoyed a beautiful spring day for the Sacrament of Confirmation for 2013. 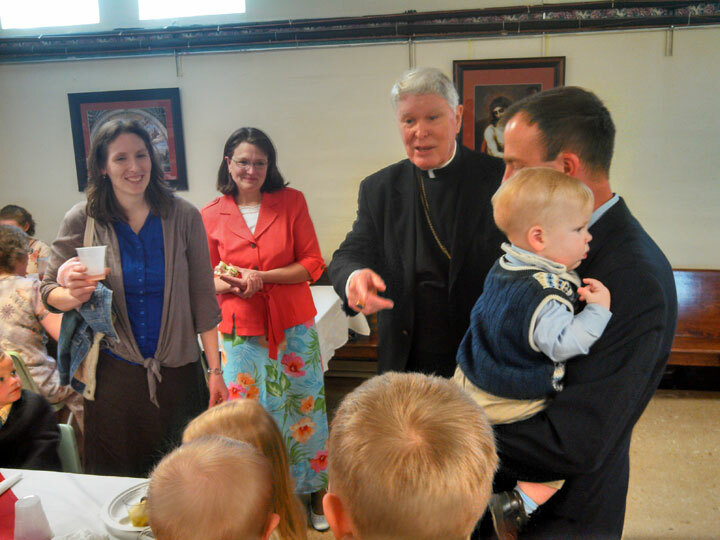 His Excellency James Timlin, Bishop Emeritus of the Diocese of Scranton, once again graced us with his presence so that thirteen children might receive the Sacrament. 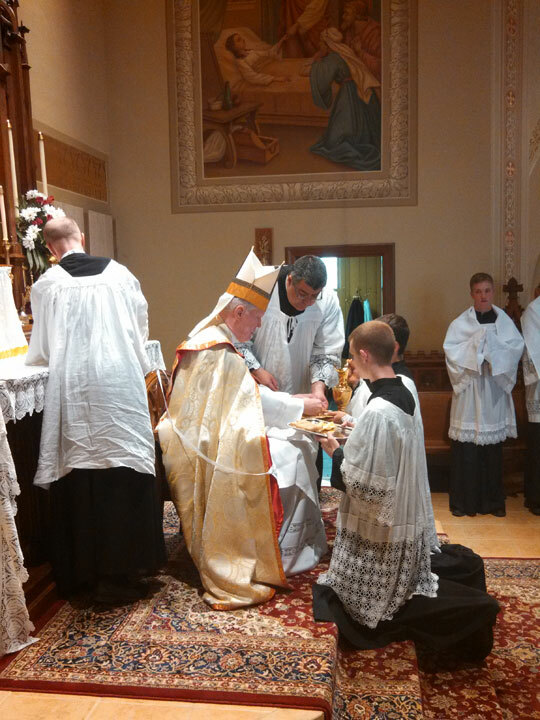 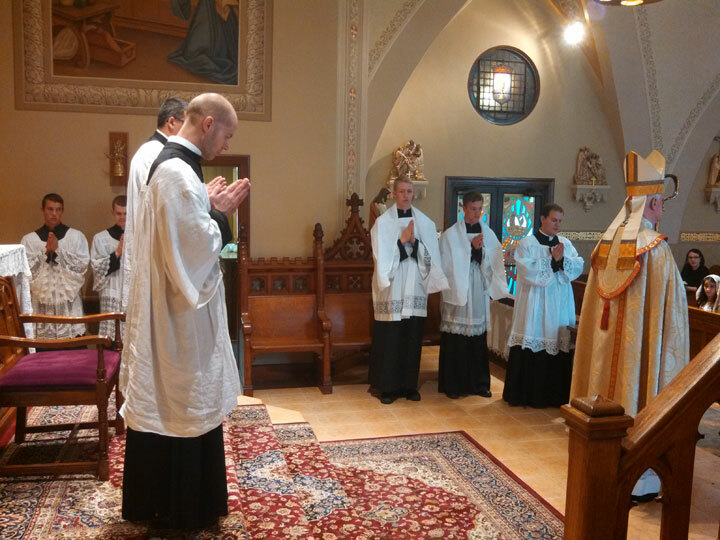 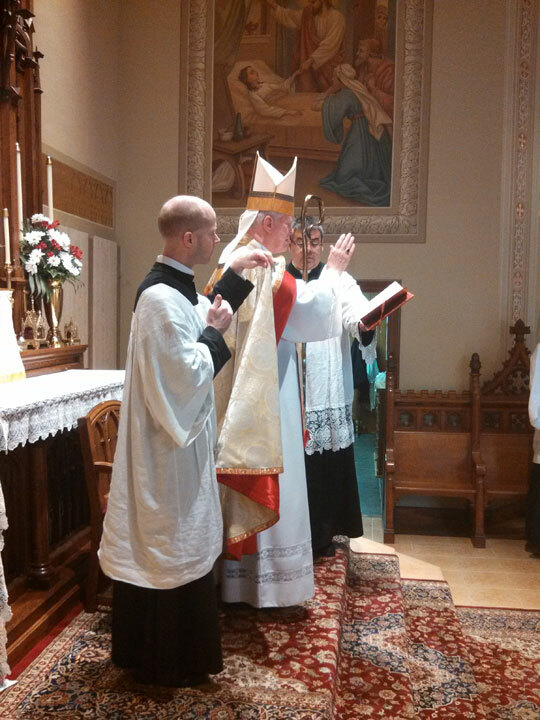 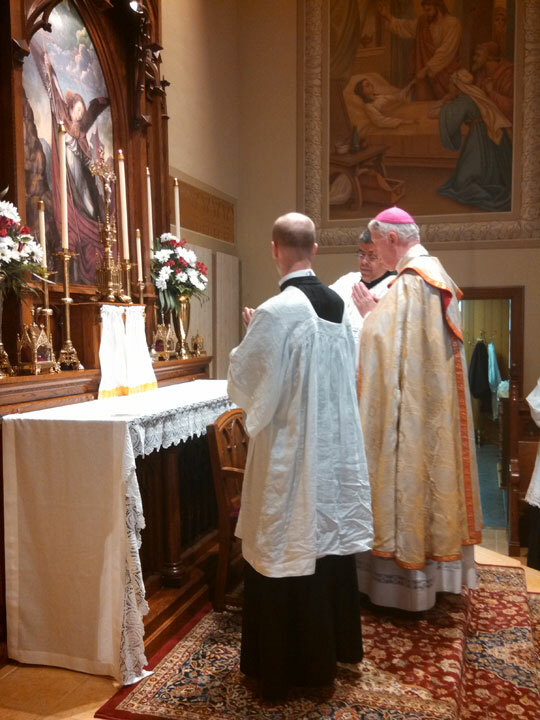 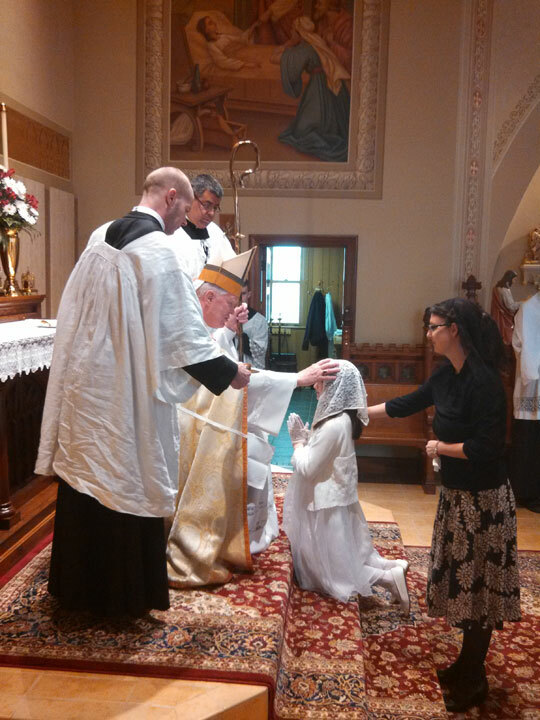 Bishop Timlin began with a firm exhortation to those receiving the Sacrament of the need to always remain close to Christ and His Church as they grow into adulthood. 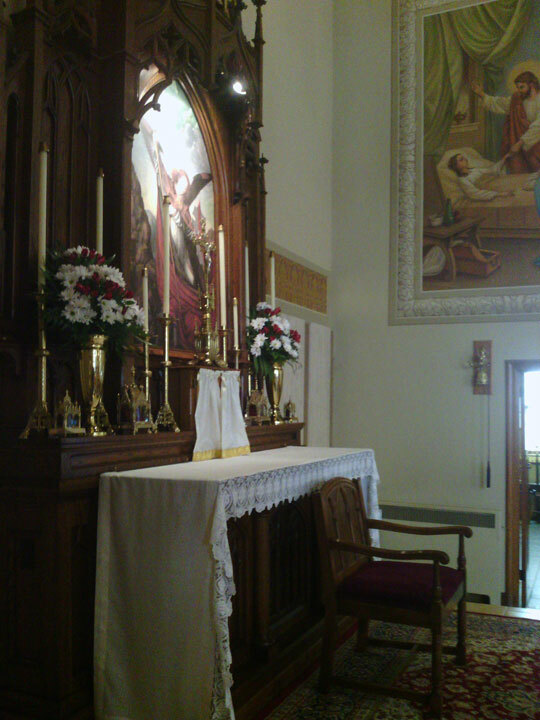 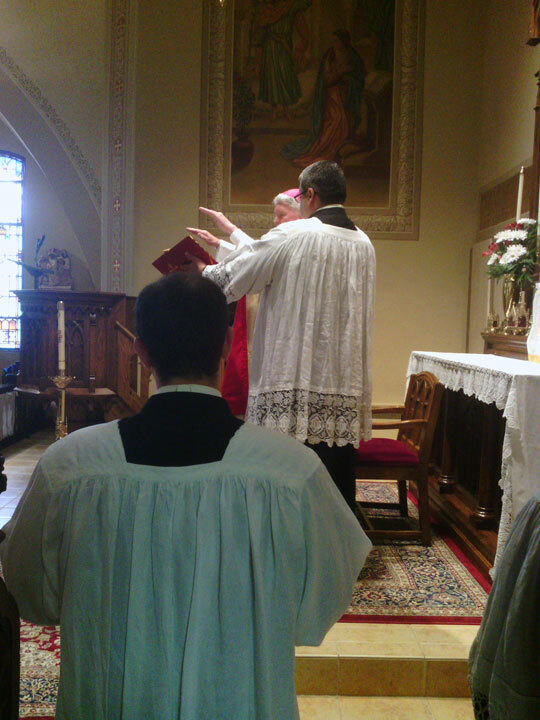 He then cautioned the confirmandi against the dangers of this world: secularism and the tendency to irreligion, the attacks upon the Faith, and the temptations that come with life in the modern world, exhorting them to prayer and the Sacraments, and above all a firm love and trust in the Lord for guidance and grace. 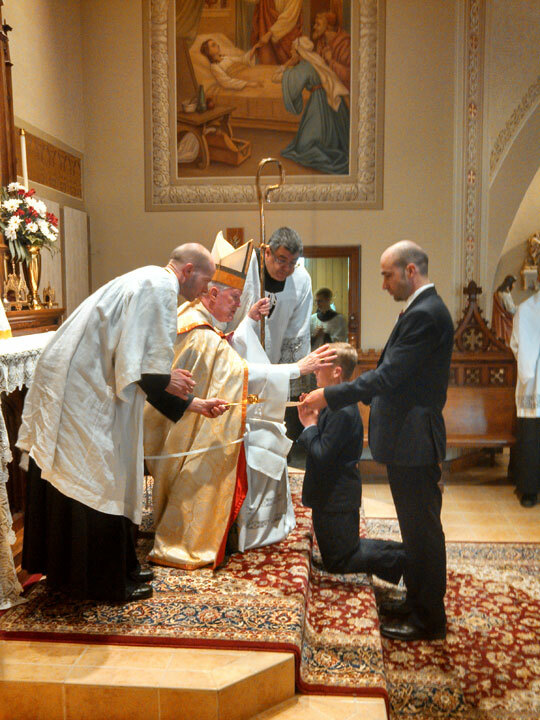 The bishop then began the prayers and blessings of Confirmation. 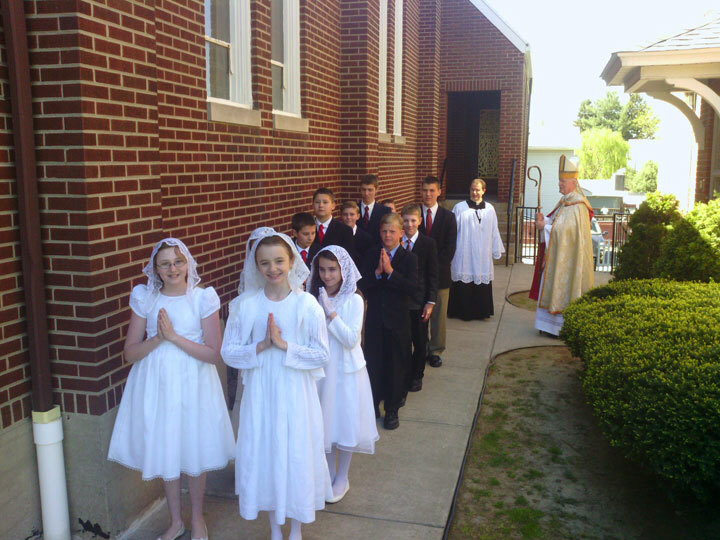 As each child and sponsor approached, he sealed them with Sacred Chrism, blessed them, and gave the slap of admonition. 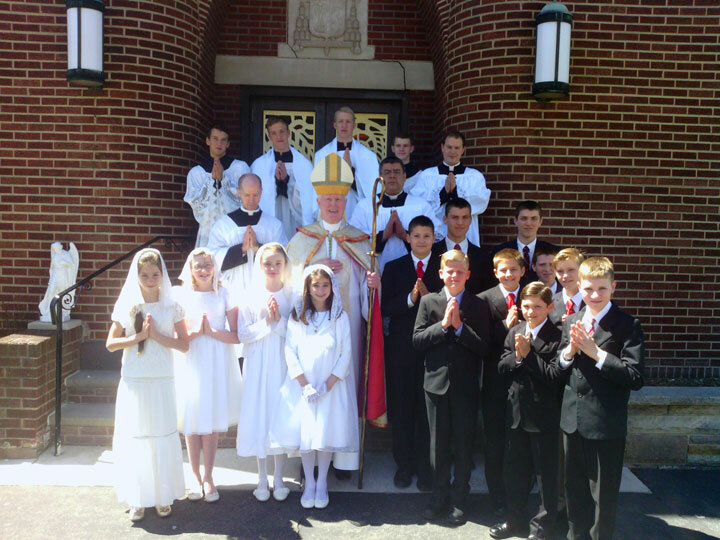 This is the gentle warning that each confirmandi is now strengthened in their Baptismal graces and expected to be able to suffer affronts at the hands of the world. 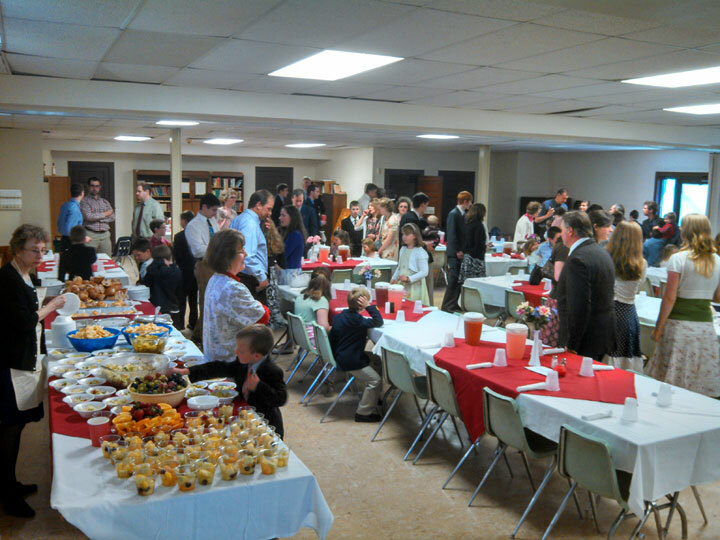 After the concluding prayers and final blessing, Bishop Timlin then joined the parish in the hall for refreshments and congratulations of the newly Confirmed. 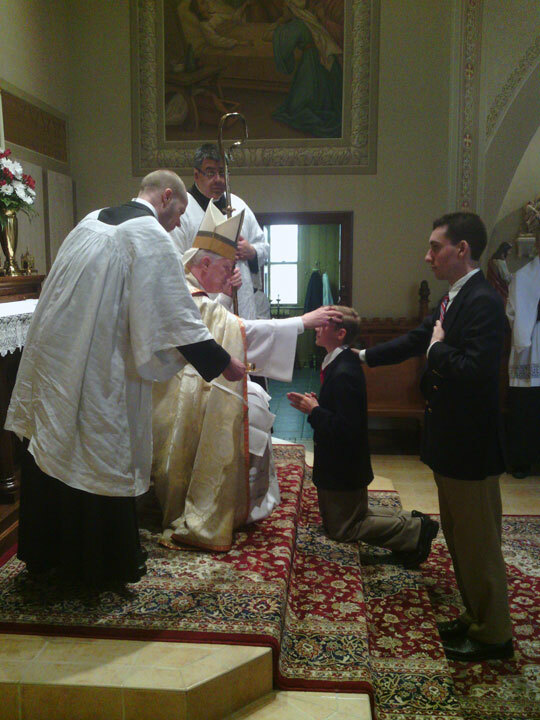 Enjoy pictures of this joyous day. 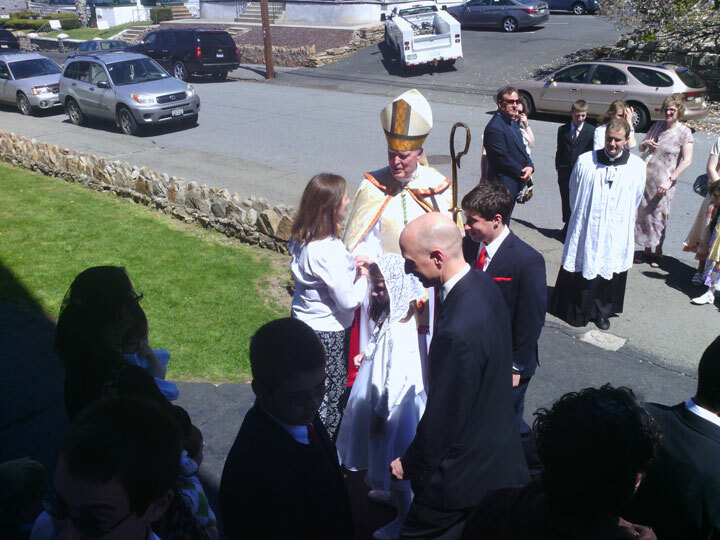 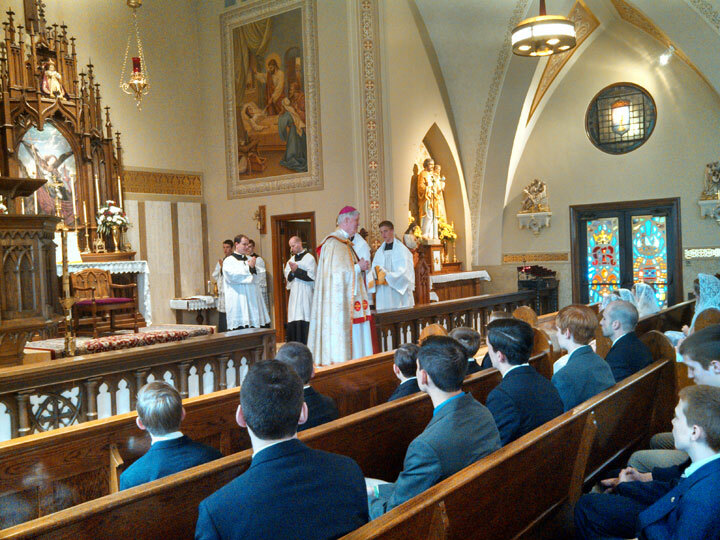 Confirmation with Bishop Emeritus Timlin.